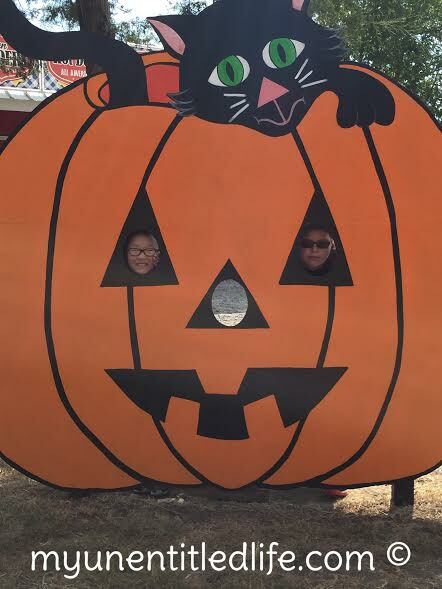 I took the kids over Fall Break to a local farm that’s close to us. We had a great time. 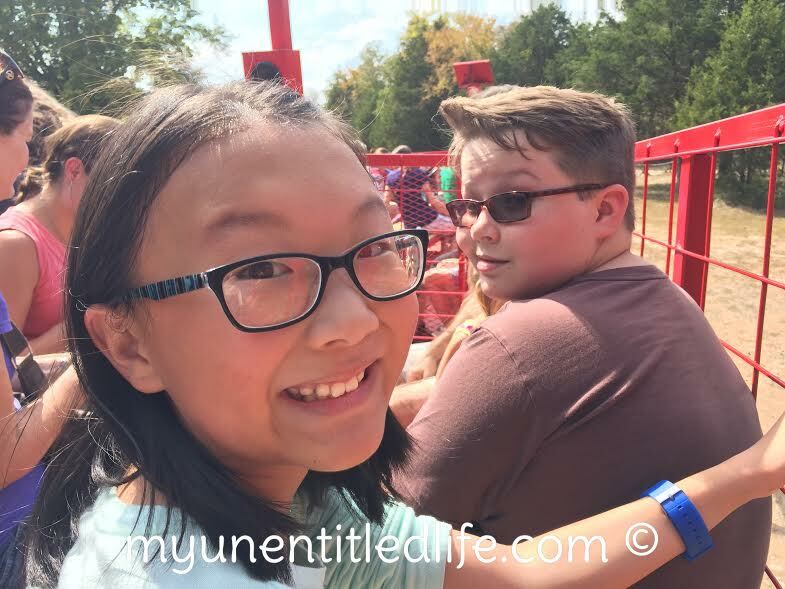 My kids are 10 and 14 so I was surprised that they had so much fun. But they did. 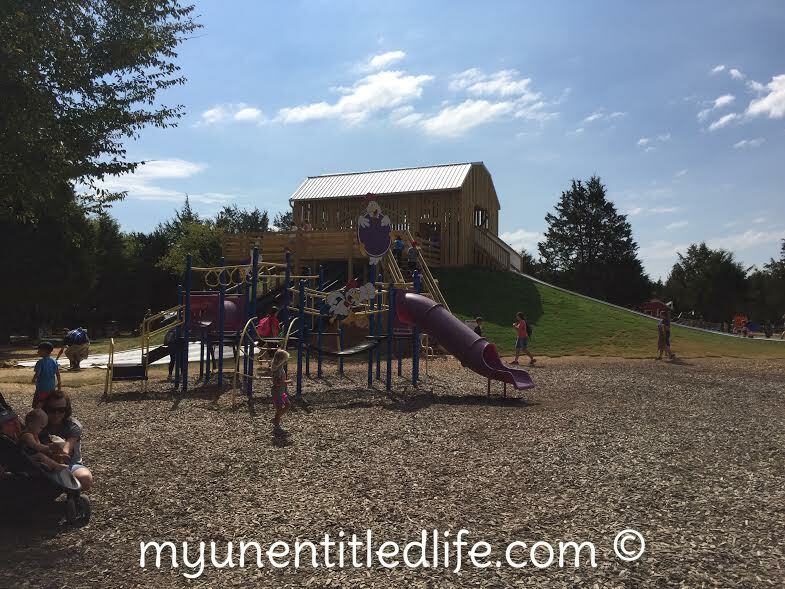 They have tons of fun things for the little ones to do. And the big ones will enjoy it as well. Here’s what all we did! 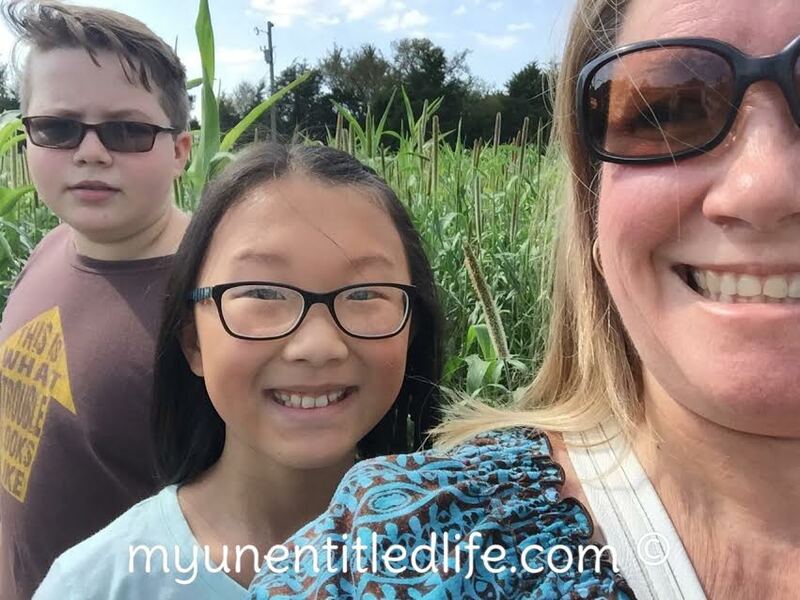 The first thing we did when we got to Lucky Ladd farm is the corn maze. It was fun and pretty hard if I do say so myself. But it was a challenge and one that we were up for! They have a guide that has a list of things you have to find in the maze. It was fun to try to go to each one and find the word and mark it off. This they really enjoyed. They have a nice outdoor playground area with a few extra large and extra fun slides. We had a blast doing the slides over and over again. This was the slide that we did more than once. It was just so much fun who wouldn’t want to do that again and again? Right? My kids loved the petting zoo area. They had so many animals there. Alpacas, llamas, goats, turkeys, peacocks, pigs and more. 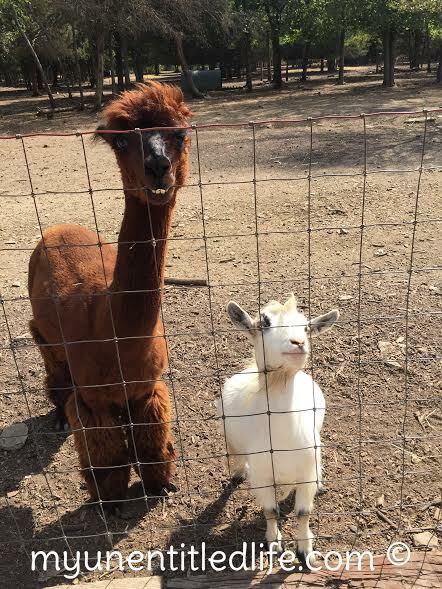 We fed the alpacas and the goats. They were “hungry”. They followed us everywhere. Not the first time they’ve been fed by us visitors. We did the corn cob blaster. It cost extra (and was the only thing we did that cost extra). 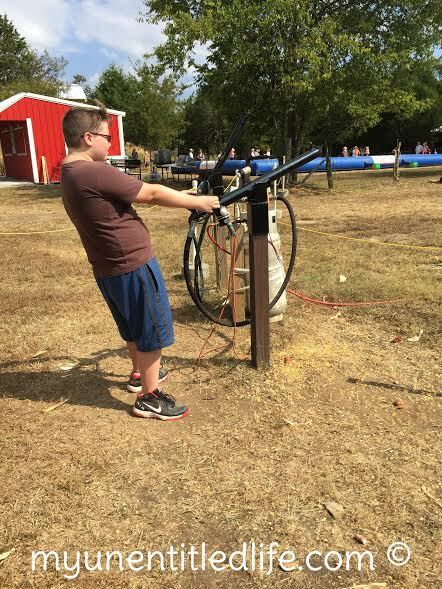 He enjoyed trying to shoot the pumpkins that were at the back of this area. That’s what he was shooting corn cobs at. I think we paid $2 for them to do this. Oh we paid to feed the animals. That was a dollar maybe? Not much! For the little ones there was a tiny train. The kids looked very happy on it. After watching this we went on a hayride. We thought we’d see animals here. We ended up seeing boards painted up like animals. 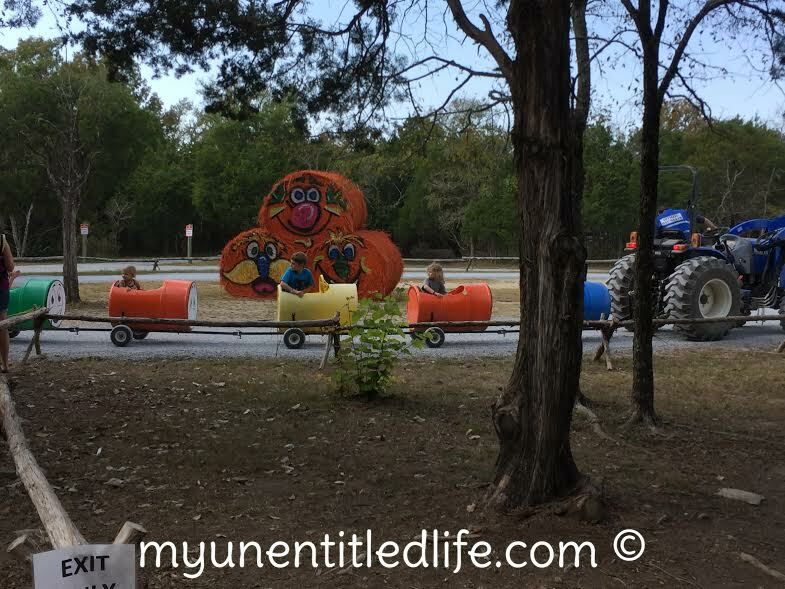 They have a little voice recording that they play on the hayride. We had a hard time hearing it being in the back of the 2nd trailer. All in all it was fun for me and the kids. You can’t bring food into Lucky Ladd Farms but you can buy it there. It smelled delicious. They have games and more for the kids to do. It was a fun day out. It cost $13 for adults and $11 for children. I believe under 2 was free. We really enjoyed our day here and I think your family will too. Do you have plans to go to a local farm this October to get your pumpkins and have some fun? 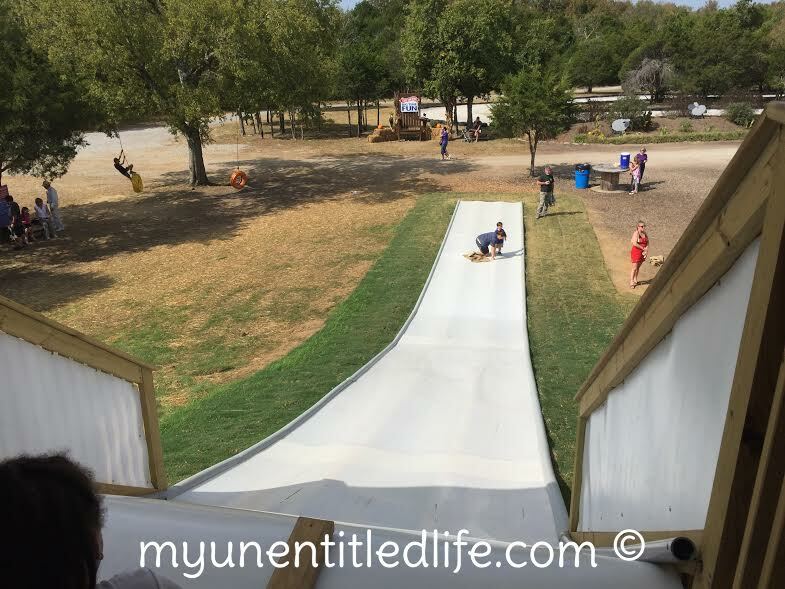 Top Rated Lucky Ladd Farms Delivers Family Fun!